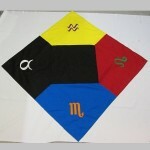 Central black square is surrounded by slightly pentagonal sides in the elemental colors and embellished with the Kerubic Sigil in flashing color. 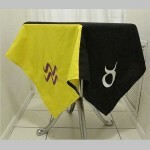 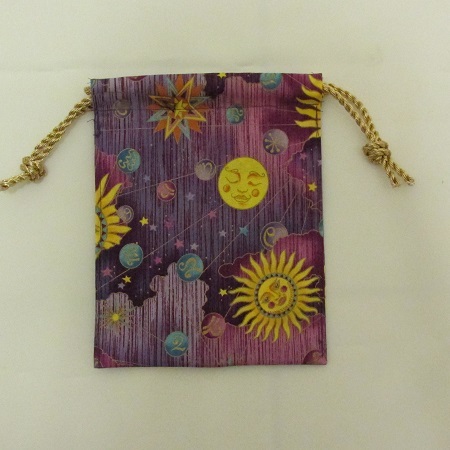 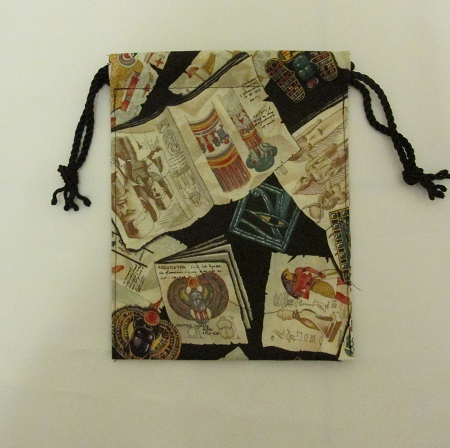 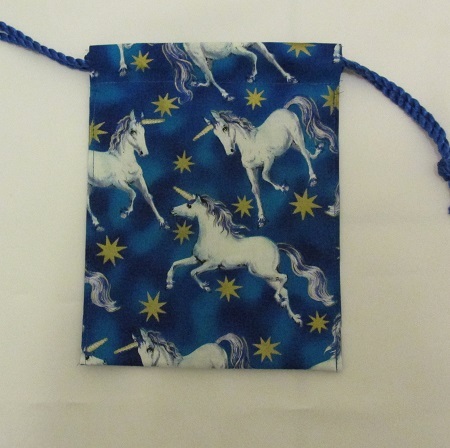 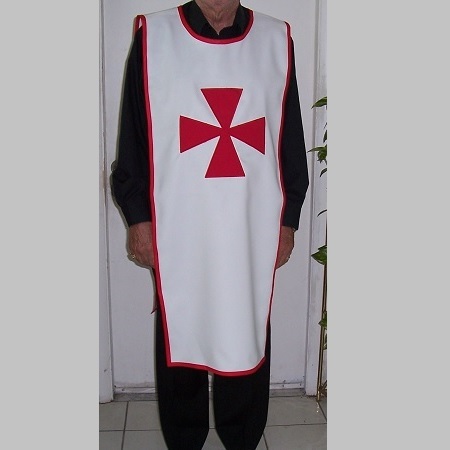 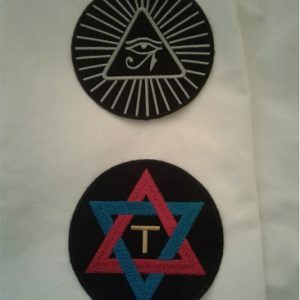 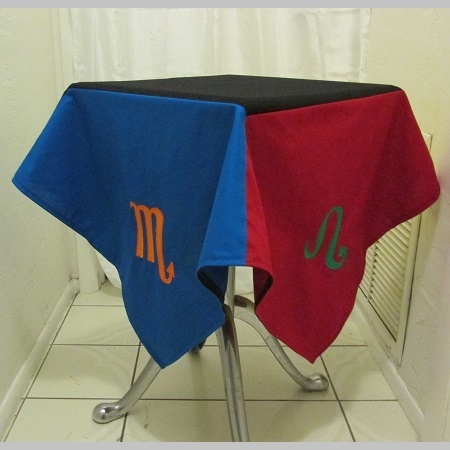 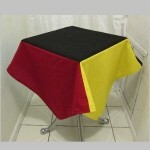 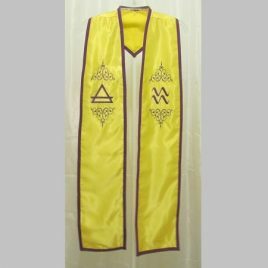 Available as the full version with embroidered sigils, or as a plain cloth without the sigils. 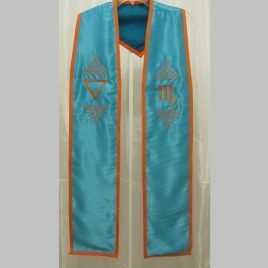 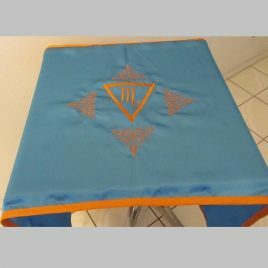 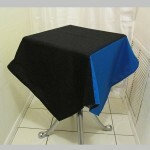 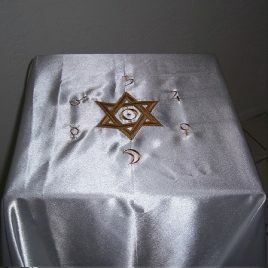 You will have to choose the correct measurement of your altar top….18 inch central square produces a cloth measuring approximately 42″ x 42″.